3 months ago, we all thought Cambridge Analytica was a font!!! Consumers are waking up to the fact that if they can’t work out what product that a website is selling, then they are probably the product. Or at least, their data is. We’ve all known this, but probably hadn’t realized how much of our data is being harvested, aggregated and then exploited. Every business is now a digital business and data is the lifeblood. This is a major shift over the last 10 years, but the true impact is really starting to be recognized. This transformation is a as significant as the industrial revolution, and with the same redistribution of wealth. So, let’s first cover off which industries or areas of business are being impacted by the combined disruptive effect of cloud, social, mobile, big data. That is easy. ALL OF THEM. It is hard to find any corporate function that is not changing dramatically to take advantage of these trends, or that has customers that are demanding a different and better experience. The obvious areas are where the ‘product’ is data that flowed physically and now it is digital: print, media, video, music. Next are those where there is a service and a sharable asset. The most obvious are Uber and AirBnB but there is so much innovation around Uber-for-X and AirBnB-for-X. Some will fail, but many services will survive and thrive. Whatever the case, they will have still disrupted the status quo. Philips: 125 year history. 108,000 employees across 60 countries and $25bn of revenue. 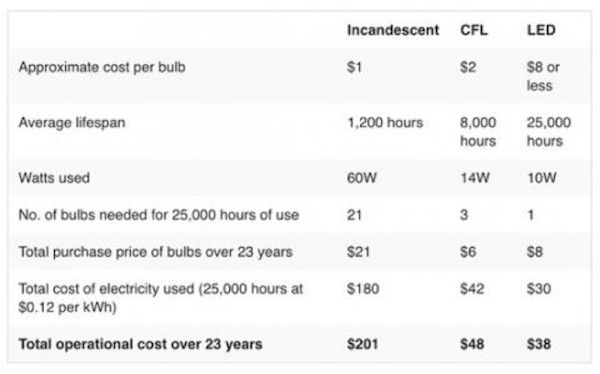 The incandescent light bulb was invented in the 1800’s and it is now being replaced by the LED which is brighter, requires less power, can have its own IP address and therefore controlled by computer…. and lasts 22 YEARS on average. The table below tells the whole story. So, Philips is transforming itself to be a “digital company” using its IP, skills and very open-thinking. There are some drivers when companies consider how to reinvent themselves before they become overtaken by a new entrant. As an analyst said, “Change is hard, but becoming irrelevant is worse”. Simply adopting the new digital tools inside the company is clearly not enough. There is an opportunity to take a clean sheet and re-imagine your business. Why is process so important this time? The Customer Experience needs to be designed so that it can be delivered consistently across a range of channels, through a self-service, employees and suppliers. There are now so many moving parts (multiple social media touch points, distributed teams, sub-contractors and suppliers, complex set of apps on different devices). These all need to be coordinated to deliver the customer experience. The margins are razor thin in most businesses so the operation must be Lean but also rely on a combination of apps as much as people. You cannot just throw people at it to cover up poor process. Agility and change are now a prerequisite for a business to stay relevant so you need to be able to manage change in a controlled way. This hits marketing hardest as their processes need to be redesigned. Gone are the days of spamming 20m email contacts, buying email lists, or hiring “booth babes” to scan everyone with a pulse at a conference. Under GDPR you need to have consent from prospects before you market to them. Articles 5 & 7 of GDPR require you to have evidence of valid privacy permissions. So, this means how you communicated with the person, what legal basis, the date so you can calculate an expiry date and the specific type of communication. When a person wants to unsubscribe from a communication they need to be unsubscribed from ALL instances of it. If the data permission expires, all the communications need to expire. So, this is more than a checkbox on a lead or contact record. It requires more sophisticated records management and automation behind the scenes. Right to Erasure (Article17); “right to be forgotten”, so a customer can request that you delete all data you hold on them. There are provisions to allow you to hold their data for certain valid reasons, such as you need to hold it by law, but it also allows for anonymization. Right to Object (Article 21); a customer can object to you holding their data because you have no reason to and that it be deleted. So GDPR is fantastic for consumers to protect them from organizations who are abusing their data. It is also great for companies who embrace the GDPR “Privacy by Design” principles and reengineer their customer data management processes because they can use this as competitive advantage. There are 3 areas where organizations will get benefits from GDPR. - Data simplification: For GDPR compliance, you have to understand what and where all the data is and have had explicit consent from customers. That means you can, and must, throw away what you don’t need, including all that duplication of data. Better still, you eliminate the wasted time looking at customer data in lists wondering if it’s the up to date version. A survey showed staff spend 18% of time looking for the right information and then confirming that it is correct. There is an immediate saving. Next, all those backups that run every night and those reports. They will run faster. The costs of data storage and backup will drop. Think of this as an enforced garage clear-out. Not a fun job, but once you’ve done it, you can suddenly see where everything is again. - Process improvement: GDPR potentially touches all customer facing areas of your business and requires you to have documented and version controlled processes. Sales and marketing are typically areas where processes have not been well defined and followed. Which is mad when you think how many are repeatable: running events, driving email campaigns, outbound lead qualification, and sales follow-up. These are all places where you collect and use data. Getting an agreed understanding of these processes and the hand-offs from marketing to sales will drive out quick wins with real cost savings. We typically see 25% improvements in productivity, and often more, when using a proven process mapping approach. - Reputation: You’ve worked hard to build a strong and respected brand. Trust is critical, and bad news spreads fast. And that trust can disappear overnight with a data breach or reported misuse of personal information. Both Yahoo and Equifax can put a hard monetary value on that. Complying with GDPR can be used as a competitive differentiator and something to shout about, not just a way of saving you from becoming another data-breach statistic. Established companies are shifting to being “more digital” and new digital entrants are emerging to disrupt markets. At the same time, legislation like GDPR, is being created to protect consumers and encourage “best digital practice”. The winners will be able to operate efficiently, at scale and use the legislation for competitive advantage. Process excellence will underpin these new digital business models.